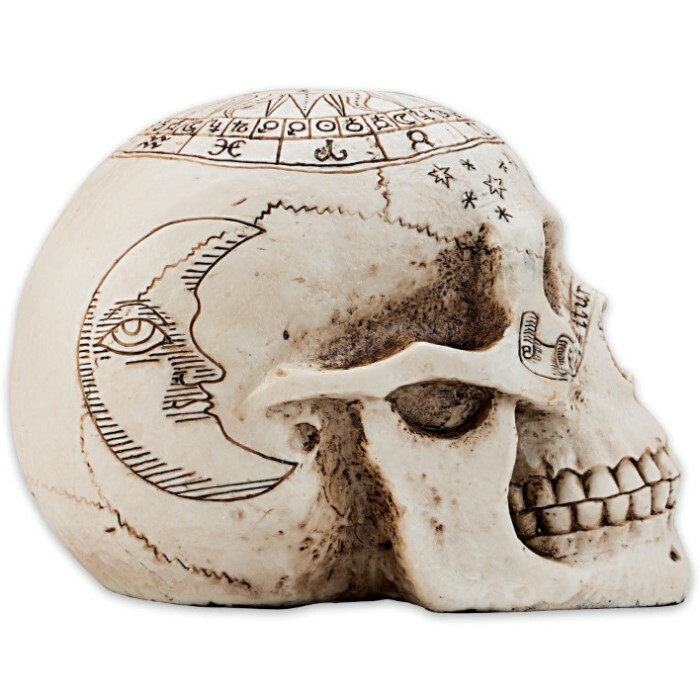 Astrology Skull | BUDK.com - Knives & Swords At The Lowest Prices! 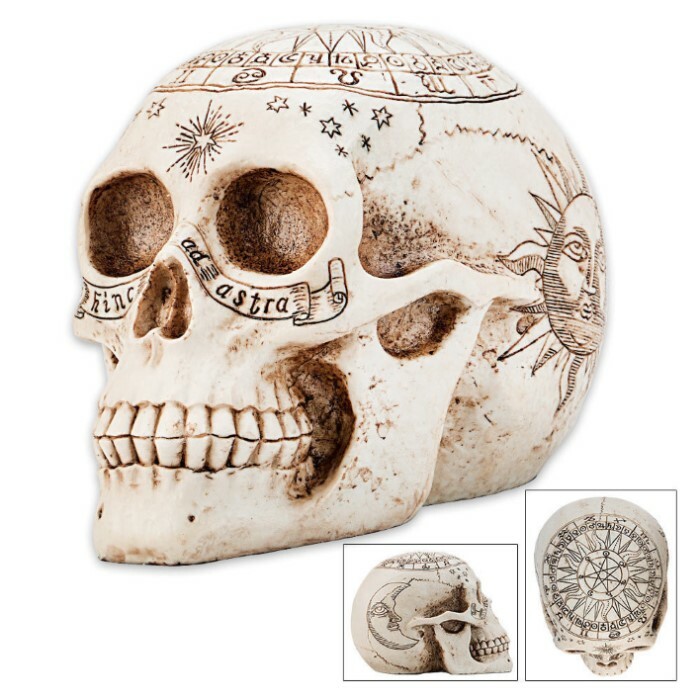 Dress up your desk or bookshelf with this astrologic skull décor. 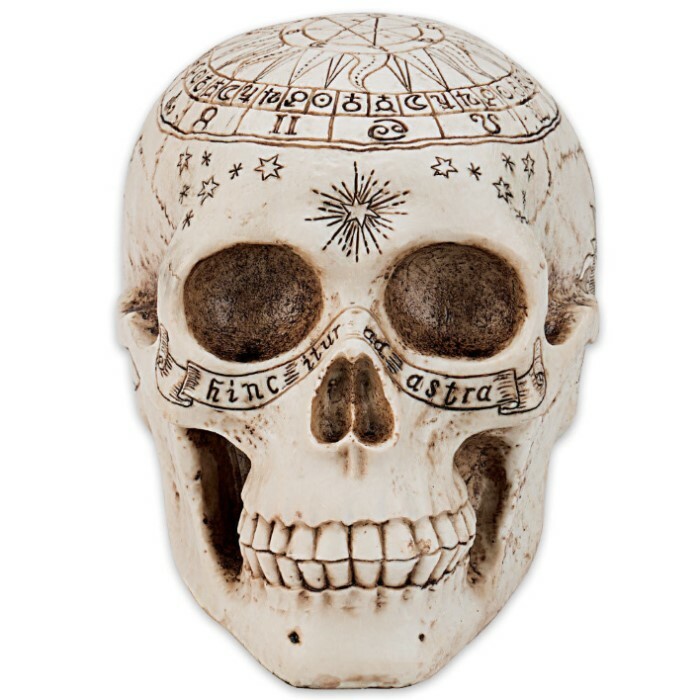 Constructed of poly resin, this skull features suns, stars and other astrologic symbols.